The last time I was in Singapore was in 2011, and I spent all of my time around Bugis. In that trip, I took a short day trip to Orchard only walked around a little. I had only a taste of Orchard but this time I spent 2 nights in Orchard and had a lot of time to explore the entire area. With 2 full days of exploring, I was able to see quite a lot. My thoughts on Orchard changed a little but not too much. I found the area to have a lot of great things to see and do but it still felt a little prestigious. Originally I thought, and heard, it was like Ginza, but that can’t be farther from the truth. I would liken it to Omotesando instead. There are a lot of expensive shops but also a lot of trendy shops as well. You could still consider it akin to how Ginza is changing today as there are a lot of fast fashion retailers, but honestly, Orchard is Orchard and you still have to go there to experience it yourself. I arrived in Orchard on a Saturday and spent a lot of time looking for my hotel. My hotel was located about 10 minutes from the station, but the only problem was that I couldn’t even find my way there. I had to ask for help. The problem was that having taken the red eye flight from Haneda, I was not really prepared to find the hotel easily. I got lost at least 3 times before I found it. The first person I asked told me to take Tangling Street, but the problem was she didn’t tell me how to get to Tangling Street. From Orchard Station, she just said head “that way”. Mind you, we were in an underground mall and she did tell me to go up, but what she failed to tell me was that Orchard Road turns into Tangling Street. My first day in Singapore and the Singlish was already getting to me. Once I did find the hotel, it was all pretty easy. 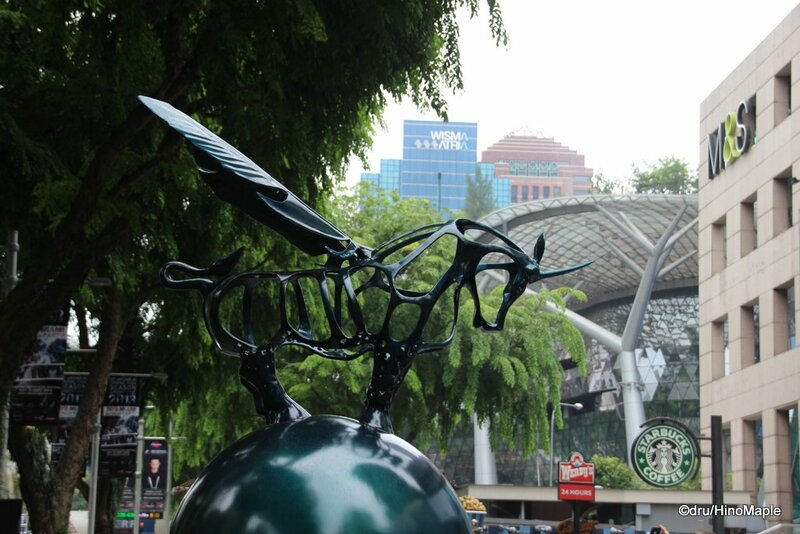 From Tangling Street all the way down along Orchard Street to Somerset Station, you can enjoy a lot of shopping. Many of the malls are connected underground so there isn’t really a need to go from one place to another outside. You can enjoy the comfort of the air conditioned shopping malls and also enjoy keeping dry if it is raining. 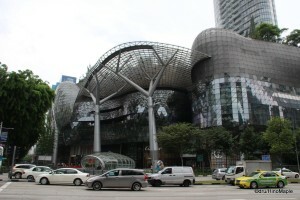 The main shopping mall that I visited was ION Orchard. It is easy to recognize and a maze to visit. Compared to Kuala Lumpur, I would liken it to Suria or any of the other big malls there. The mall itself is confusing the say the least. Escalators help you get to your destination, but instead of stopping at every floor, some of them skip floors to aid in getting you to your destination faster. The only problem is that if you get on the wrong one, you can miss the floor you intend to visit. 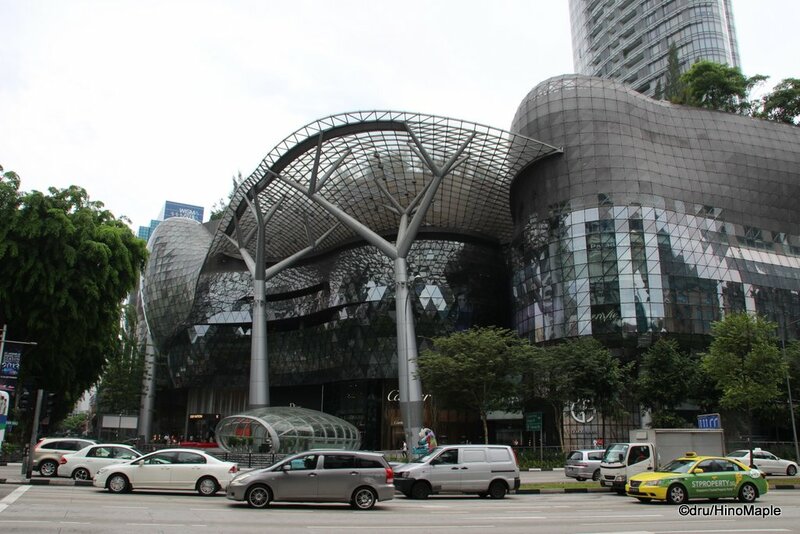 ION follows the general plan of Orchard itself when it comes to shopping malls. The main floor and all floors above it are mainly high end fashion. You can find all of the high end fashion brands from Louis Vuitton to Fendi. Then, if you head to the basement, you find all of the reasonable shops. ION is somewhat well known for their food court. Out of all the food courts I had been to, I liked the one in ION. It is very crowded but the food is pretty good and the selection is tremendous. I would have had a tough time choosing a good meal were it not for the fact that I wanted chicken rice and I had it in the same food court 2 years ago. I was very satisfied and will return again if I’m staying in Orchard. For Japanese people, or people living in Japan, ION also provides an interesting amount of Japanese shops. I enjoy looking at the Japanese shops as it provides a glimpse into how the world looks at Japan. I can’t really do the same with Canada as there really isn’t a “Canadian souvenir” shop in the world, at least none that I know of. Seeing all of the Japanese souvenirs and the strange Japanese items was interesting. Also getting to see some of the main Japanese chains like Watami having a shop in ION was fun, but there was no way I’d be visiting that restaurant anytime soon. I did see a Gindako shop in the food court and while they tried hard to make good takoyaki, their technique was terrible compared to the pros in Japan. I dare not try it either, especially when I wanted to eat all of the good local food. 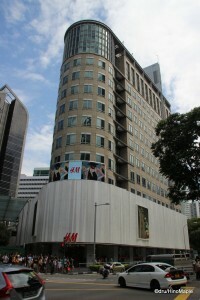 Right at Somerset, there is a shopping mall called 313@Somerset. It is not a particularly special shopping mall but it was a popular one. It was almost a hipster place with a huge H&M as the anchor. The shopping mall wasn’t very interesting but they had a small restaurant/bar street on the main floor that proved to have a couple of interesting shops. The first was the Charlie Brown café. I can’t say for sure what was there on the menu but it was a cute place. I wouldn’t mind trying it out if I had a chance next time, but then again, it isn’t high on my to-do list. Next door to the café was the Ji-Biru shop. 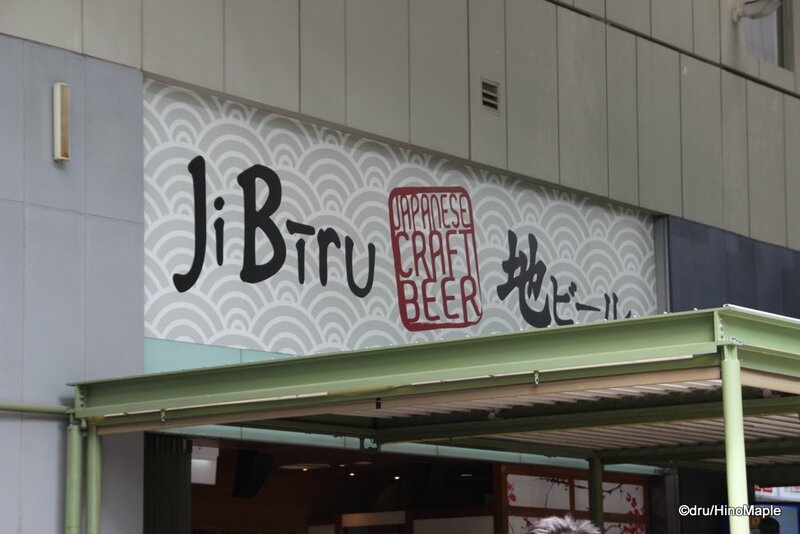 Yes, there is a Ji-Biru shop in Singapore. It isn’t really all that they say it is. 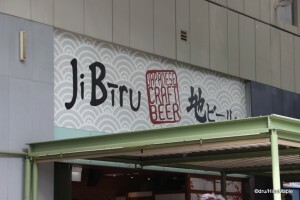 It is more of a Japanese beer shop, but they do have a lot of craft brews there. They have a good selection of Hitachino Nest beers as well as some Shiga Kogen when I was there. The prices are not cheap but compared to Tokyo, they are comparable and reasonable when you consider transportation costs. They were doing decent business when I went there but the only problem I had with the shop is that they had Sapporo beer. I couldn’t believe it as Sapporo is NOT a ji-biru. They need to do a bit more to improve the selection, but I can’t blame them for trying. I did want a beer when I was passing by but considering I could get the same beer back home, I decided not to, even though the Hitachino Nest was calling my name. Orchard is a great place to visit and I would gladly go back. 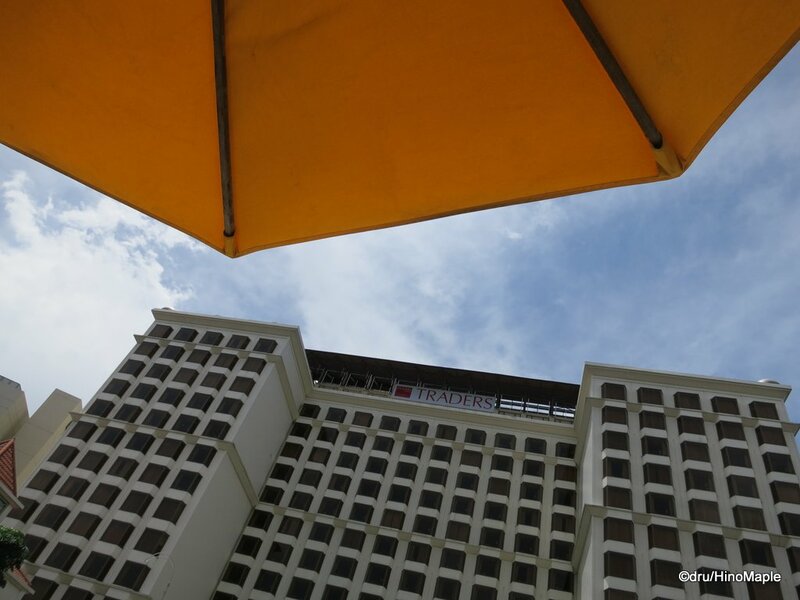 The hotels are definitely not cheap in the area but there is a reason it is a tourist destination. There are tons of high end hotels from the St. Regis to the Mandarin. If there is a 5 star hotel in Singapore, chances are they are in Orchard or they have one of their affiliate brands are there. The name is well known for high end items but after getting a closer look, I would say that trendiness is also part of the game here. Lots of young people do visit Orchard and I would hazard a guess that they spend most of their time in the basements of these shopping malls to see the trendy shops and find what is popular. If you do decide to visit Orchard, the weekdays are probably best to avoid the crowds. It can feel like Japan on weekends, which isn’t fun, however it is nice to see the entertainment on Orchard on the weekends. When I was walking around on the Sunday I was surprised by the number of musicians and entertainers. They probably make a lot of cash playing there and there was even a big drum band that was the biggest draw. Be sure to take a little time out to check it out, but I can’t guarantee that they’ll be there every weekend. This entry was posted in East Asia and tagged 313, 313@Somerset, Charlie Brown Cafe, ION, ION Orchard, Ji-Biru, Orchard, Orchard Road, Singapore, Somerset, Tangling, Tangling Street, Traders, Traders Hotel, Traders Hotel Orchard, Traders Orchard by Dru. Bookmark the permalink. You are making me want to go back to Singapore for a holiday! Ion is my favourite mall in Orchard. I also love Ngee Ann City bc it has Takashimaya and Kinokuniya. Orchard rd has some beautiful trees and garden beds. I still call ION, “ee-on” rather than “eye-on”… Too much Japanese in me now. I need to get away from all the snow in Tokyo and somewhere tropical.